Photo Credit: Created with WordSwag, used with permission. Morning Devotion: Walking in the footsteps of Jesus. He only did what He saw the Father doing; said what He heard Him speaking. Jesus was the most effective minister who ever walked the earth because He only did what He saw the Father doing and said what He heard the Father speaking. He understood the importance of serving and getting away to just be with the Father. 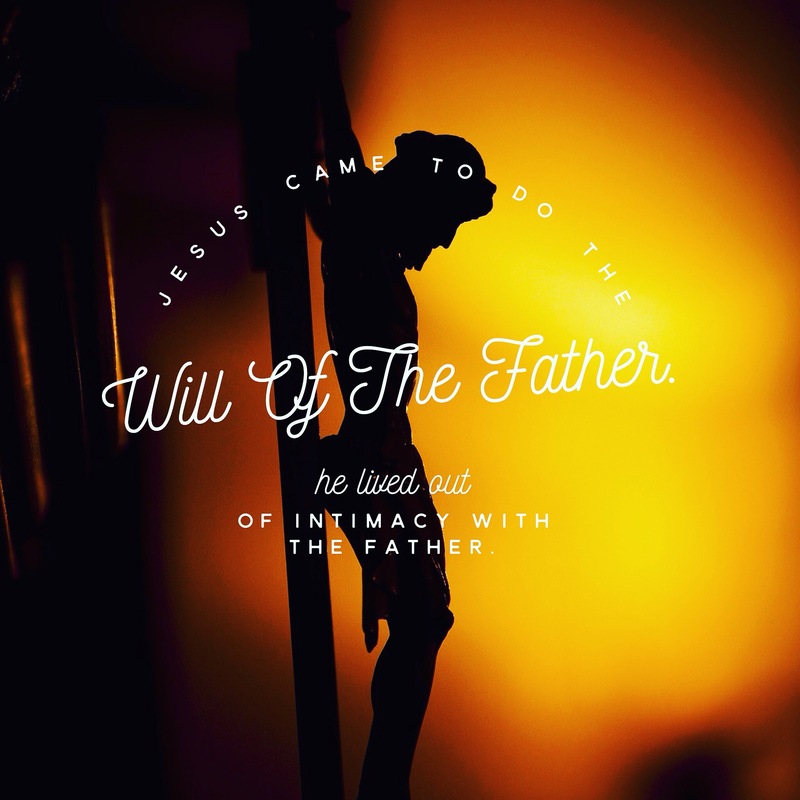 Jesus lived out of a place of intimacy with the Father. He met with the Father because He loved Him, not to just fill His tank or get something from Him. Jesus was and is love manifested in the flesh, there was and is no selfishness in God. The Father and Son connected heart to heart, pure intimacy. Jesus was not led by the desires of the people, led by pleasing people, nor was He led by His feelings. He was primarily motivated by the love He had for the Father and the desire to do His will. Do we seek the Father’s heart and seek to know His will? Love is about partnership, not simply receiving for our personal gain. God pursues us to love us. And as He loves us, we fall in love with Him. When we fall in love with Him, we want to be with Him, over and over with Him. As we with are with Him, His heart begins to be our heart. The gifts, treasures, visions, and dreams He places in us begin to rise to the surface. We become the truest version of who He created us to be-purged of deception, fear, and insecurity. We meet heart to heart and spirit to Spirit with God. These times in the hidden crevices of His heart are where true transformation occurs. He deposits seeds of His goodness, love, hope, faith, joy, wisdom, insight, and we leave that place pregnant with promise, wisdom, understanding, love, and purpose. The fruit of Jesus is evident not only in His words but in the way He lived. He perfectly represented the Father. He gave all of humanity the key to living like Him-abide. Praying for you!! You are so deeply loved. Amen, in His presence no insecurity, fear, crumbling down, sadness, ect —- on the other hand in His presence I find myself, who He wants me to be.